Dear Mom, have you been phoneschooling? You know what I’m talking about already, don’t you? We can be so distracted during our homeschool days. And it really isn’t surprising when we realize that checking our email, catching up on social media, and playing games on our phones has become so easy. Perhaps it’s a longing to be connected to other adults. Maybe we are avoiding work. Or it is simply a bad habit. But before we know it, we can be sitting with our kids without really being present with them. So be careful sweet mom! You have chosen to homeschool, not phoneschool. Desiring to feel connected to other adults. God designed us for community. Being connected to others is a good thing! But it can become so easy to try and stay connected on social-media that we disconnect from our children. And, although being connected online can be good, it can’t be a substitute for personal connection—the kind you get from seeing one another face-to-face. Believing we are more productive. There’s a myth about productivity. Somehow we have bought into the lie that multi-tasking means we are being more productive. But the truth is, it makes us less productive. Sure, as moms there are times we simply don’t have a choice. We might be making supper, the baby is crying, and then someone rings the door bell. But often we choose to multi-task, thinking we are getting more things done. Let’s face it: homeschooling is hard work. And sometimes we simply don’t want to work very hard. It’s funny how frustrated we can get with our children when we see this character trait, but are often blind to it in ourselves. As homeschooling moms we get tired—physically, emotionally, and spiritually. But what starts out as a desire for rest, for taking a break, can get out of control. Honestly, it is easier to be on the phone that to do the hard work of homeschooling. Of adulting. Habits: the things we do without even thinking about them. 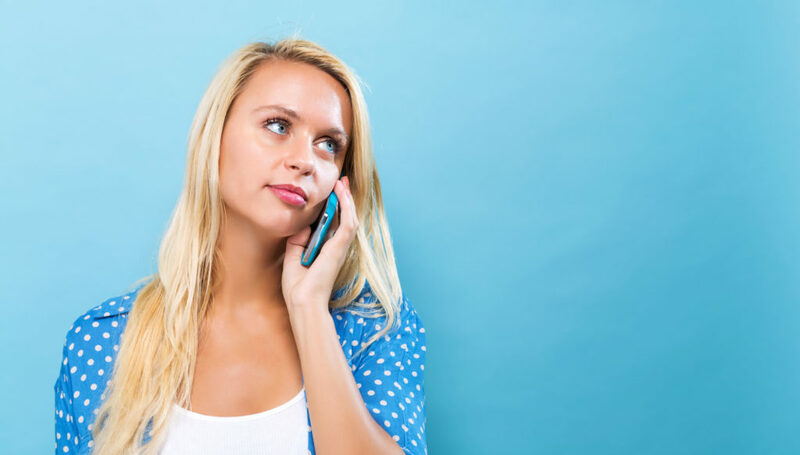 Have you ever reached for your phone without consciously choosing to? Have you found yourself immediately scrolling social media while waiting? Do you even stop to think about it? I find myself doing those things. Often it is harder NOT to do those things. To choose to be fully present where I am instead of operating on autopilot. How do we stop being so distracted by our phones? We put them away. We turn off notifications. We stop checking them all the time. For example, I can say I need to stop eating so much sugar. But if I don’t replace those sugary snacks with something healthy, it won’t be long before I’m reaching for the unhealthy options again. Those sugary snack foods are easy, convenient to find, and habit forming. They satisfy a craving I have. To “put off” eating too much sugar, I must “put on” eating something healthy. 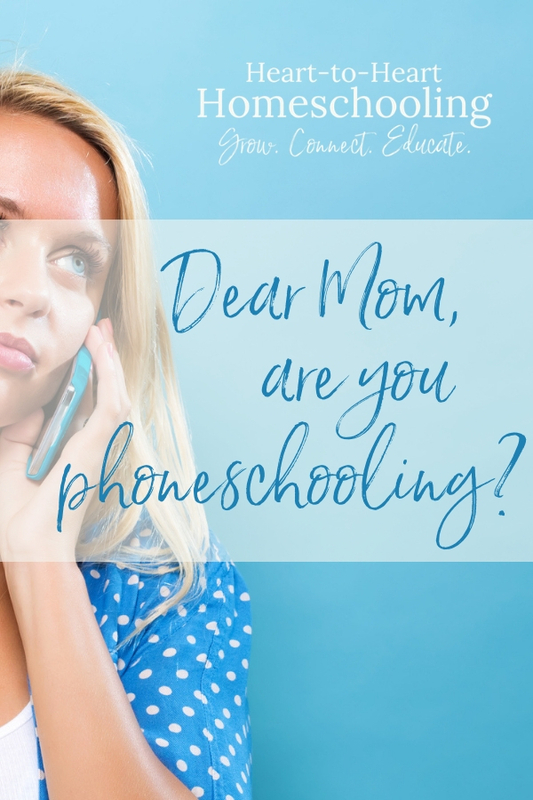 So if we are going to stop being on our phones while we are homeschooling our kids, what will we do instead? Martha had been concentrating her energy on serving, which isn’t a bad thing. But she had lost her focus because she started looking more at the act of serving instead of the one she was serving. Ask, “Why have I chosen to homeschool?” And then consider whether your focus is where it should be. 2. We choose to be present. We have all been guilty of it. But when we are trying to be on the phone, answer texts, and check social media “real quick” (we do everything in the south “real quick”), we miss what is going on right in front of us. Not just online, but in real life too. Homeschooling is life-schooling. Building healthy relationships with our children teaches them to build healthy relationships with others. Connect with your children by setting aside time with each of them. Whether you take a walk together, go out for ice cream, or spend an evening playing miniature golf, find ways to be with each of them one-on-one. And, make building strong family relationships a priority, too. Those family connections are the foundation for spiritual, emotional, and physical well being. If asked, many of us would say part of our “calling” is to homeschool our children. But homeschooling is about more than teaching academic subjects. Our kids are watching us and they will imitate what we do. Most of us realize that modeling is one of the most powerful teaching tools we have, and yet we often don’t consider that how we interact with technology teaches them, too. Let’s be homeschoolers, not phoneschoolers. This is such a great topic to hit! Thanks for sharing. My phone stopped working yesterday & I’ve gone to pick it up a few times today, it’s very VERY habitual. I appreciate your honesty & thank you for reminding me to be conscious of this! It’s something almost all of us deal with. Even with our empty nest my husband and I can find ourselves scrolling through our phones while watching Netflix together. The struggle is real! We have to be intentional to not do it, simply because of getting into bad habits. A topic that has really been on my heart lately! It’s so easy to think that a few minutes on my phone is a nice break from everything going on – but it’s amusement, not rest, and actually leaves me more impatient with the kids. Excercising the ‘focus’ muscle isn’t easy, but it’s worth it to maintain an atmosphere of attention and presence in the home. 💛 I love the way you distinguished between amusement and rest. They are definitely not the same thing. Thanks so much for sharing your insight.